For the past five years, I've been a mentor for high school juniors at Sequoia High School's Web Academy program. Last year, I was paired with a very special girl, Noelany Vides. In our first meeting, I was surprised to learn this energetic, smart, cute 17 year old girl was a leukemia survivor. Diagnosed in 7th grade, she missed all of 8th grade while on chemo. It's been 5 years since diagnosis and 3 years cancer free. Given I lost my best friend in high school Joanna and my dad to forms of leukemia, we developed a special bond. She didn't have much family support in her quest to go to college navigating grades, counselors, SATs, campus tours and applications on her own. While the formal mentor program ended last May, we've continued to meet regularly. I'm so proud that she got into 3 colleges and accepted Cal State Monterey Bay on the Fort Ord site where I was born. 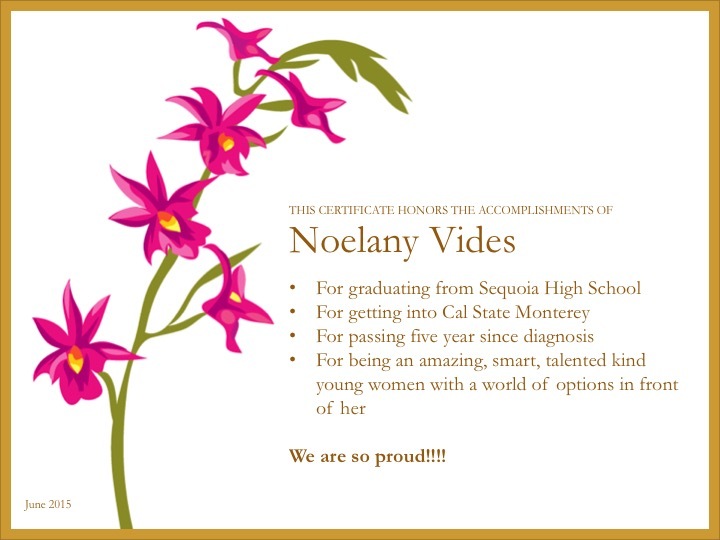 Unfortunately, her parents are not supportive but Noelany is committed. I've set up a Noelany College Fund and would welcome any contributions to ease the burden that financial aid doesn't cover. 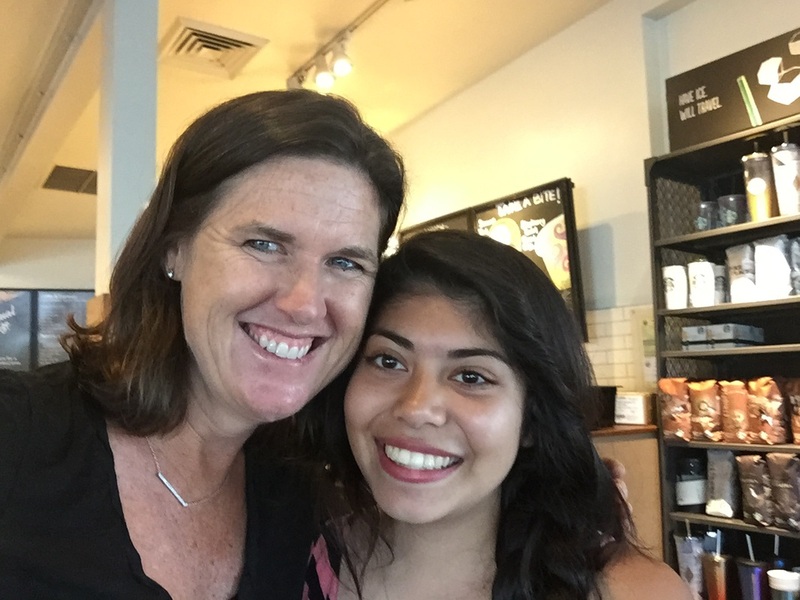 On Sunday June 7th, Noelany and I met (photo below) and she shared her decision to go to Canada Community College for 2 years as she would like to transfer into UC Berkeley or UCLA. We discussed the upside of a degree from those schools balanced with the risk high drop out rates at community college. She is committed and determined and was overwhelmed with the $2250+ (we actually hit $2400 today) which will help assure an easier financial transition into a 4 year college. We will continue to meet up regularly! Thank you for all your support!!! !